A small cardboard tube (e.g. from a toilet roll). A piece of screwed up paper. Paper to print or draw the owlet’s feet and face on. 1 . Take the cardboard tube and push the piece of screwed up paper into the top of it to make a domed shape. Stick in place with glue. 2. Cover the whole cardboard tube (except the base) and the paper top, with glue and then cotton wool. 3. 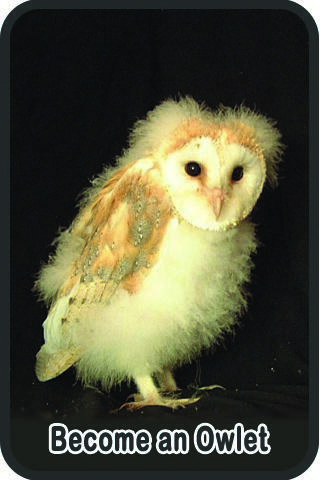 Print the owl face and feet from this page, or draw your own, colour t hem in, then cut out with scissors. 4. Stick the face onto the tube near the top using glue. 5. Stick the feet to the underneath of the cardboard tube so that they stick out. There! A cute baby owlet! Why not make a whole brood? !